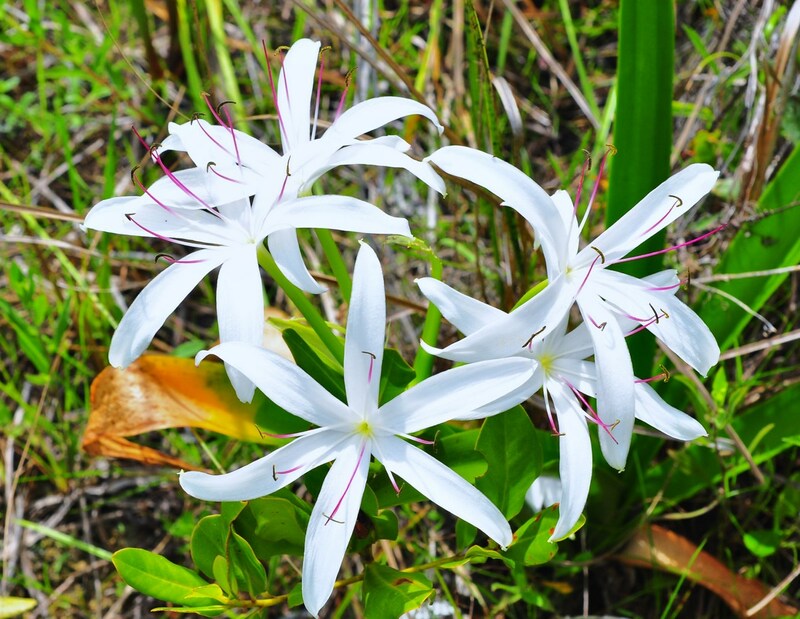 Swamp Lily is one of the species from the genus Crinum and the family Amaryllidaceae, a lily-like perennial plants that includes about 180 species. Crinum have large showy flowers on leafless stems, and develop from bulbs. Swamp lilies, as their name suggest, are often found along the sides of streams and lakes in tropical and subtropical areas worldwide, including South Africa. They are often cultivated for the attractive flowers. Crinum leaves are basal, typically long and strap-shaped, with colors ranging from light green to green. We did see hundreds of these yesterday. I believe they are also call the "Star of David" or am I thinking of another lily? I’m no botanist, but these are quite large lilies that only grow in very wet areas. Thank you so much Rabin. I just checked out your site and I must say… I’m impressed! I’m just astonished by your takes! I love them all! I was sitting here despairing at man’s ‘inhumanity to man’, when I landed here instead. Your photos reminded me of Nature herself, her beauty, her strength, the way she always perseveres. I have the strength to carry on with my day again now. Thank you and God/Good Bless.